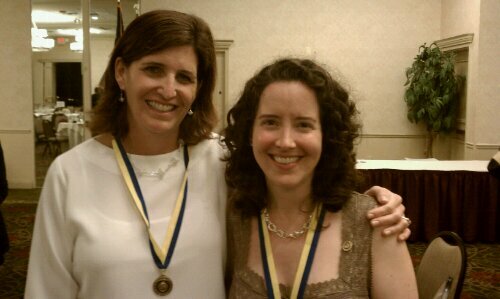 Yesterday evening, Karen Jarmoc and Lindsey Weber were honored as Paul Harris Fellows by the Rotary Club of Enfield. The club recognized both women for their charitable work and dedication to the greater Enfield community and Rotary International. It was an exciting night of celebration for all attendees. Karen and Lindsey are pictured above at the event.